Size:King This uniquely designed bedspread gives you your moneys worth. 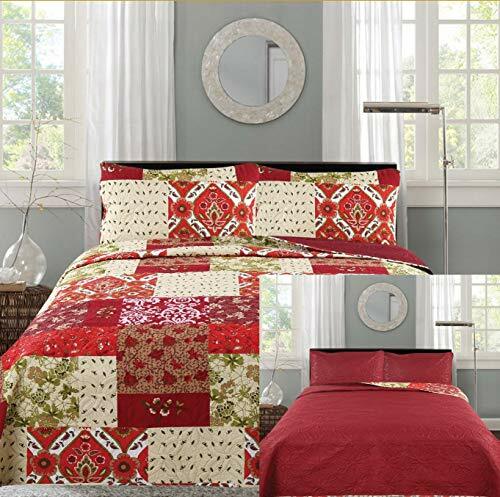 Unlike other reversible bedspreads, this bedspread has reversible pillow cases, giving you a completely new look. The King bedspread measures at 102"x94" with 2 pillow cases of 20"x36". 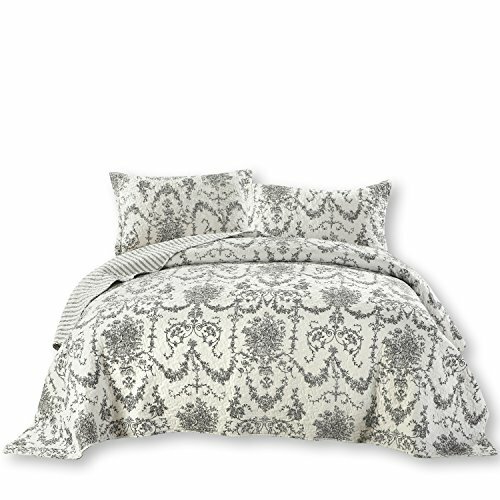 The Queen bedspread measures at 90"x90" with 2 pillow cases of 20"x26".